Happy Sunday, It's Glitter Gal time! 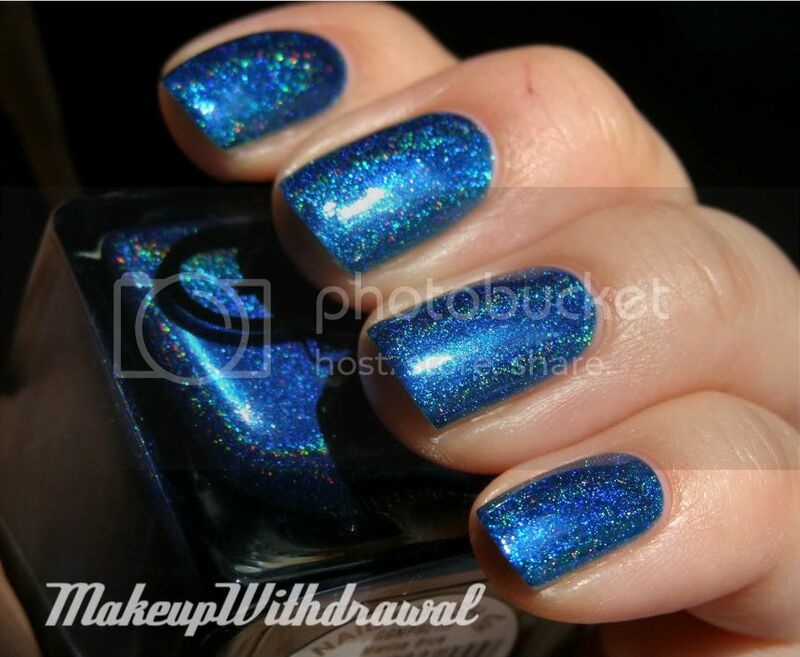 Today's Glitter Gal is called Marine Blue. You guessed it- it's blue. As you can see, Marine Blue has a frosty blue base, very bright. 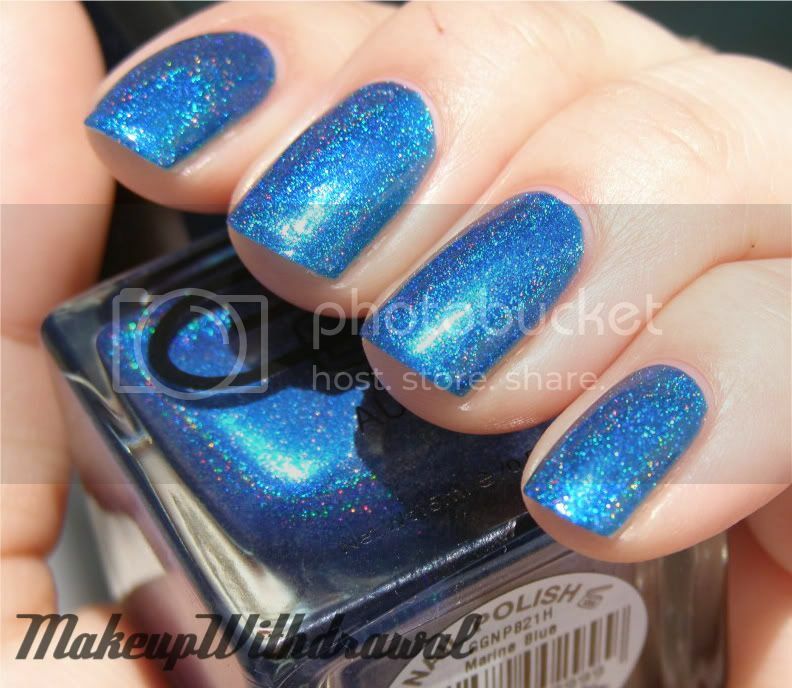 This is three coats and though it certainly is something to behold, it's not quite as holo as other Glitter Gal holos. I have a hypothesis on that. I swear I'll present it when I'm done compiling the watches. The frosty thing just isn't quite 'me'. 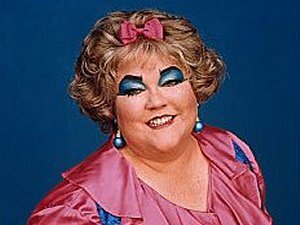 And neither is this shade of blue, it gives me bad Drew Carey flashbacks, a la Mimi's frosty blue shadow. What do you think? How do you feel about frosty blue? Product featured was given away to me as a prize in a contest. For additional information, please refer to my Disclosure Policy. I actually really like it on you! I think it's pretty! Lol @ what it reminds of.